From the moment I became a mother, a new type of responsibility was placed on my shoulders. Not only was I responsible for my own well being, but I was responsible for little blessings that could not care for themselves. Though many years have passed and along the way they have learned to do many things on their own and take care of themselves greatly, I am still responsible for them both. 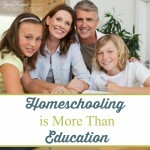 From the moment I chose to begin homeschooling my little blessings, I added a new type of responsibility to my plate. Not only was I responsible for their well being, but I also became responsible for their education. I had chosen to pick up the task to ensure that both my children would be properly educated within my home. Over the years the weight of this responsibility, homeschooling my children, has changed. In the beginning I had to teach my children how to read, that was by far one of the greatest joys of my part of our homeschool journey. Following reading came adding, subtracting, fractions and more math skills than I had ever wanted to see again. (I truly am not a mathematician and would love to not have to do math again, why can’t everything be in life be done with the alphabet and writing?!) Now, we’re facing the middle school years, both of my children will be in middle school this upcoming school year, my son in his final middle school year and my daughter in her first. As the years progress I find myself looking back and realizing how different my responsibility is today vs. years past. Gone are the days of pure fun and games in the midst of learning, now it’s time for the rubber to meet the road as the last part of our homeschool journey lies just ahead of us. The weight of the responsibility of homeschooling my children may have changed over the years, but I will not break under the weight. 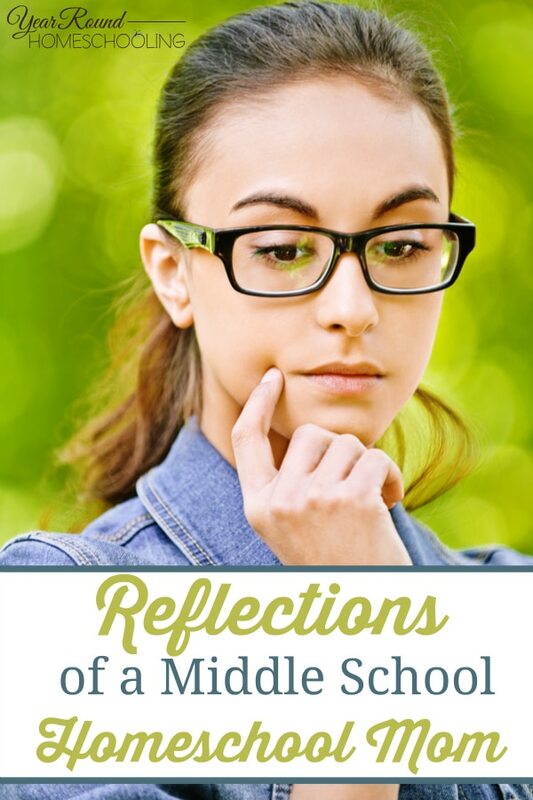 What lies before me is of such great importance that I am gearing up, preparing for the challenges that the middle and high school years may hold. My children’s future depends on what they learn from Kindergarten through High School, but the last few years hold a different responsibility for me. Throughout middle and high school I know that everything I’ve taught them up to this point must become part of their daily lives. They must begin to apply what they’ve learned…they must learn to be responsible for themselves. As we’re drawing near to the final years of their homeschool journey, my responsibility is that I ensure they stay on track with their education. I must teach them the final lessons of finishing what they’ve started and remaining focused on the tasks at hand, all while enjoying the last few years that I am a homeschool mom. I must learn how to hold tightly while seeming to let go so that my little blessings can grow. I can’t imagine what my life would have been like without taking on the responsibility of my children’s education. 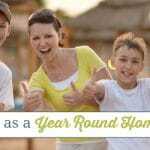 Our homeschooling journey has been the adventure of a lifetime, one that I could never forget. 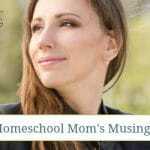 What do your homeschool responsibilities look like right now?